How to Cook Global Agenda? “Bellum omnium contra omnes” | Think the Unthinkable Future. Enjoying an unforgettable view of Bosporus, I’m writing this short column in Istanbul. Yesterday, I had an opportunity to actively participate in the kickoff meeting of B20 task force on SMEs and entrepreneurship, which was held in the TOBB plaza here in Istanbul. When I was a Japanese diplomat, I was always wondering why almost all the schedules in the global community was predetermined and dictated to the Government of Japan. Dates and venues of important events in diplomacy were in principle decided without prior notification to Japan. The westerners decided, and Japan followed. While my colleagues in the Ministry of Foreign Affairs never seemed to ask themselves why that was just so, I wasn’t basically persuaded to follow such an unspoken rule of the modern world. This is closely related to why I just quitted my job in the ministry. I really wanted to jump into situations and circumstances where I can make my own decision to push forward the world community and Japan. It was simply obvious that I couldn’t do so in the capacity of government official. Therefore, I said good-bye to the MOFA and my colleagues, and sought where I could make my dream come true. 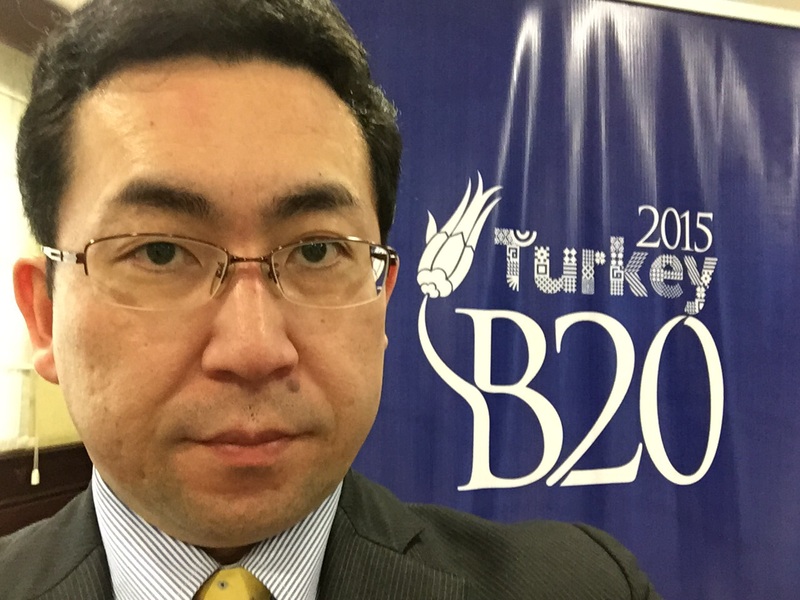 It was a fortuity that I found the official website of B20 chaired by Turkey in this year. Without any hesitation, I applied for the membership of B20 task force. The Turkish secretariat responded spontaneously and admitted my participation. That’s why I came here to see my new colleagues from the global community. Yesterday’s discussion we had in the kickoff meeting was extremely inspiring. 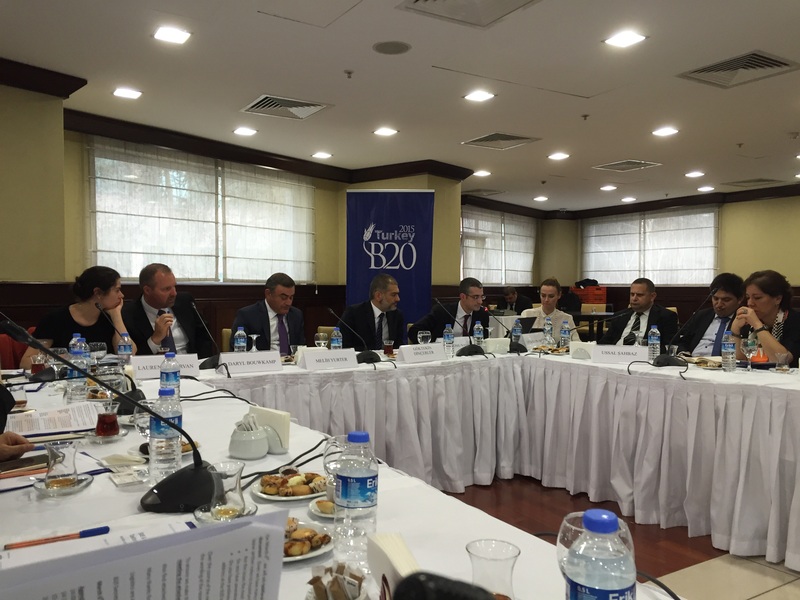 As the chair of B20, Turkey obviously made efforts to set global standards in certain fields by herself. Because the global business community in general was dominated by big and prominent western companies such as GE and Intel, Turkey aims at SMEs and entrepreneurship. It’s really strategic and convincing to the global community, while everybody on the globe knows the world economy totally depends on steady growth of SMEs and entrepreneurship. In short, not big companies without potential to grow up but innovative SMEs matters to save the world in the age of accelerating volatilities. The rule of discussion in the task force is quite simple: Whoever speaks out, is to be taken note of. When you don’t dare to do so, you are recognized as nobody. “Bellum omnium contra omnes”: That’s it. The framework of the discussion itself was prepared by guys from Accenture as knowledge partner of this task force. At the very last stage of the meeting, I had an opportunity to point out what we missed in accordance with the framework. My own voice to the global community was registered. Almost one third of recommendations delivered by B20 is always to be accepted by G20 and becomes the global agenda. Discussing in B20 actively is therefore directly related to setting the global agenda. Having struggled for more than 10 years, I finally reached the stage to create the world history together with colleagues from all over the world. Our discussion will be going on, and we’ll get together again in April in Washington D. C. As a global citizen based in Japan, I’ll of course attend the meetings ahead actively for the better future.